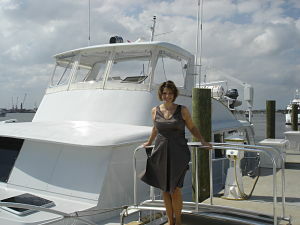 Here I am standing in front of the R/V (research vessel) Stenella. Last week I participated on a webinar in which we talked about charity auction item ideas and how to strategically procure them. Since then, I’ve had procurement on my mind! One of the participants worked for an Alzheimer’s-related non-profit. She asked for suggestions on items to sell which might bring awareness to her mission, and still be of interest to her audience. Off-the-cuff, I suggested she might want to offer an item that tied to the research of Alzheimer’s. Someone might be interested in a behind-the-scenes tour of a research facility or lunch with a scientist. For instance, many years ago, my parents were fascinated by a behind-the-scenes tour of the Los Alamos labs. 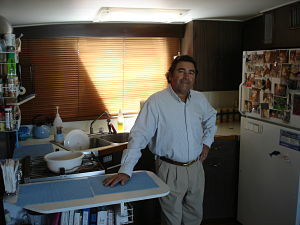 As serendipity would have it, three days after the webinar, I sold two research-related items. This past weekend, I worked for a group which has researched the same pod of dolphins for 25 years. The organization was founded by a scientist. The auction is in its second year, and our crowd was fewer than 100 people. The scientists who study this dolphin pod are out at-sea for ~90 consecutive days in the Caribbean each year. In addition, they have a new permit which will allow them to make day-trips for studies off the coast of Florida. The group’s research vessel (R/V) is called Stenella. They hold the gala in a yacht club near the dock — which is smart. Guests get on the R/V during the cocktail hour and check it out. 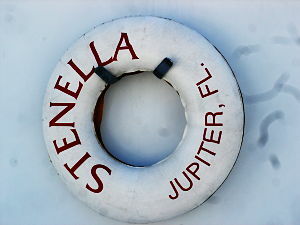 Now with all due respect, I’ve been on luxury yachts, and Stenella — although adequately comfortable — is NOT a luxury craft. This is a ship which has been retrofitted to accommodate the scientists and scientific gear. The guest quarters are stacked with bunk beds. Six guests would share a small bathroom (or “head,” as they call it on a ship). In the live auction this group sold two research-related excursions. 1. Go on-board Stenella for 10-days and participate in a research trip. For six days, the winning bidder would help with research projects. The other four days would be devoted to fun, like snorkeling and island-hopping on uninhabited islands. Since the trip occurs during lobster season, everyone will enjoy some fresh meals. Sound exciting? For two years in a row, this research excursion has sold in the 5-figures. 2. The group also offers a “lunch cruise” on the vessel. Five guests can enjoy a leisurely lunch on-board while sailing around the intercoastal waterways and hearing a scientist talk about dolphin research. That’s another good use of the ship: Getting people on the craft, allowing them to “see” what happens, and ensuring they are participating in the process. It helps sell the mission. What can you offer your audience that educates them on your cause and intrigues their mind? Post your ideas below.